I can safely say that “The Shining Girls” is one of the best reads for me this year. I may be a little late on this boat, but the point is that I loved the book. It has been a fulfilling read and there are times I randomly think of it at work. Why do you ask? Well, simply because it is wonderfully written. Lauren Beukes talks of sci-fi and a thriller and at the same time, there is a literary angle to it, which very few books or novelists are capable of. “The Shining Girls” is about Harper Curtis and he isn’t your run-of-the-mill serial killer. He kills “shining girls”. That is also quite usual. What is unusual is that he travels in time – from the 20s to the 9s0s and kills these girls. A house makes him do it. Yes, a house makes him. As every serial killer, he makes a mistake. In 1989, he leaves Kirby Mazrachi behind and doesn’t kill her. Kirby, now an adult, wants to track him down and figure about the murders. She enlists the help of a Sun-reporter named Dan and the hunt for the killer then begins. To add to this, there is another angle, which I will not give away in this review. This is the plot of the book. It seems very simple, however it is not. The writing is razor sharp and sometimes even gruesome. “The Shining Girls” is perfect for supernatural fans. I was a little hesitant to read it at first, however as I turned the pages, I became more and more engrossed in the writing. Lauren takes readers to worlds beyond and then right back, spinning between realities and mind games. This makes “The Shining Girls” what it is. A read which must be savoured. 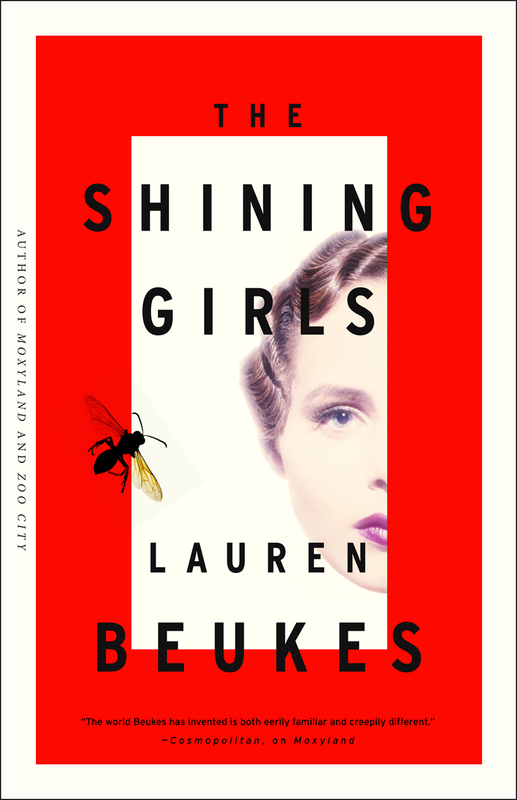 This entry was posted in Books, Literary Fiction, little brown and company, Review, Supernatural and tagged Lauren Beukes, little brown and co, murder, Serial Killer, Supernatural, The Shining Girls, Time Travel on October 29, 2013 by thehungryreader.